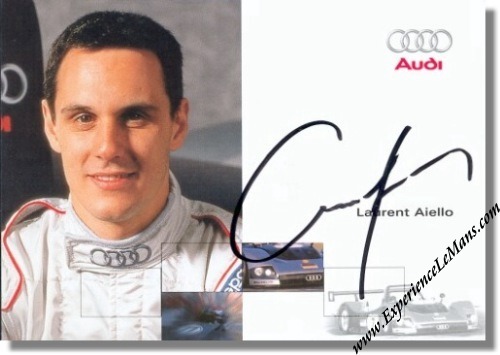 Laurent Aiello signed 2000 Audi 24 Hours of Le Mans Fan Card. Official Audi Factory Le Mans 2000 Fancard. Signed in person in black sharpie on the front side by Laurent. Back side list short biography. Measures approximately 5.8 x 4.1 inches.